Since leaving St. Lawrence in 2008 as one of the women’s hockey program’s all-time leading scorers, Chelsea Grills (B. Sc. ’07, M. Ed. ’08) has gone on to coach at a number of solid programs. “What drew me to St. Lawrence was how close of a family it was on campus,” reflected Grills, who tallied 70 goals and 99 assists over her 139-game career as a Saint. “I’m still really good friends with a lot of my former teammates, and I think that’s special. Grills — whose 169 career points rank her third in program history — is surrounded on St. Lawrence’s all-time scoring list by former teammates. Her freshman season saw the 5-foot-6 forward debut on a line with Gina Kingsbury ’04 and Rebecca Russell ’05; second and fourth respectively on the all-time Saints scoring list. Both have since moved into coaching. Rounding out the top five in program scoring?Sabrina Harbec ’08, whose ridiculous 219 points stand alone atop the list, and Carson Duggan ’09 — both also Grills linemates. Since St. Lawrence, her coaching pathway has taken her to Amherst College, Vermont, McGill and now uOttawa. Two of those stops — Division III Amherst and McGill up in Canada — have included national championships. In her current role in Canada’s capital, she handles recruiting, video analysis, pre-game scout and skill sessions. Seeing a familiar face from Canton can make those long recruiting trips in the dark of winter a little friendlier. “I can pick up a phone and have a conversation with them on anything, they’re such great friends,” continued Grills. “Wellsy has been an incredible influence on me, while Boomer (Ted Wisner) and I talk on a regular basis. Same with Mare (MacDougall Bari), we’ve become friends. Appleton Arena has seen its fair share of great players suit up for the Saints since its construction in 1952. 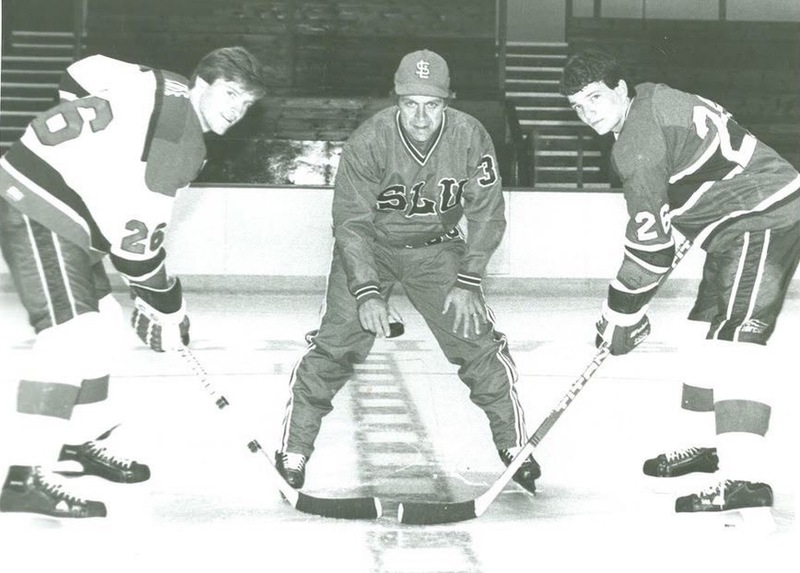 Generations of St. Lawrence hockey have come and gone, but few players have had more of an impact on St. Lawrence hockey, and the greater hockey world, than Brian McFarlane ’55 and Bill Torrey ’57. 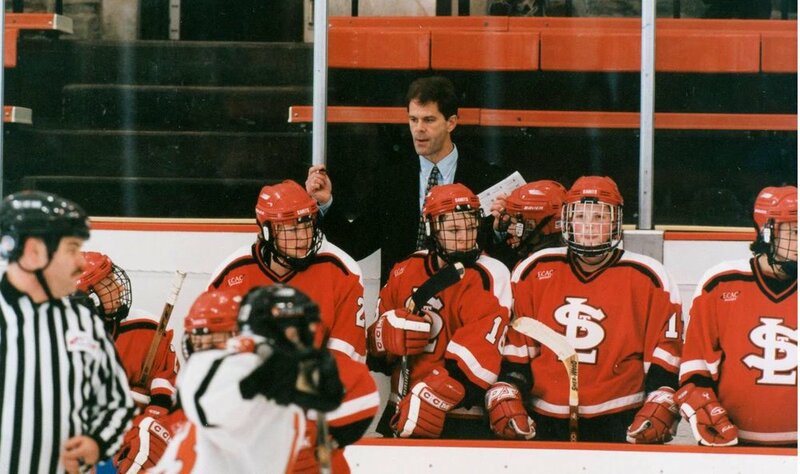 Ask anyone that was around the St. Lawrence University Men’s Ice Hockey program in the late sixties or seventies, and they’re bound to have a story relating to perennial ringleader Tim Pelyk ’73. From 2000 until 2004, no other Skating Saint ruled the ice quite like Rich Peverley ‘04.